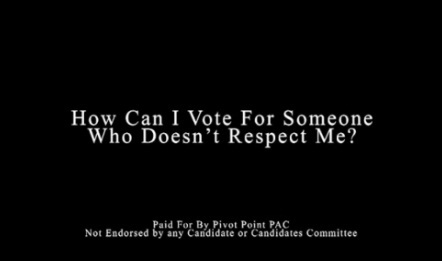 *A new 30-second ad from the conservative PAC Pivot Point is running on BET in the battleground state of Ohio and attempts to drive a wedge between President Obama and African American voters. 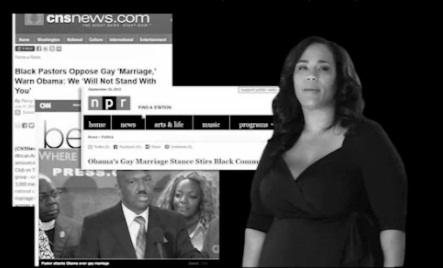 The footage, in black and white, features a young man and woman, lamenting Barack Obama’s record on their issues. “What has he done as president?” asks the woman. Pivot Point, a PAC that launched earlier this year, has raised less than $15,000, but that was more than enough to put the spot on the air in two markets — the Seattle area, where the PAC managers live, and Cleveland. In both markets, it’s playing on BET for next to nothing, reports Slate.com.